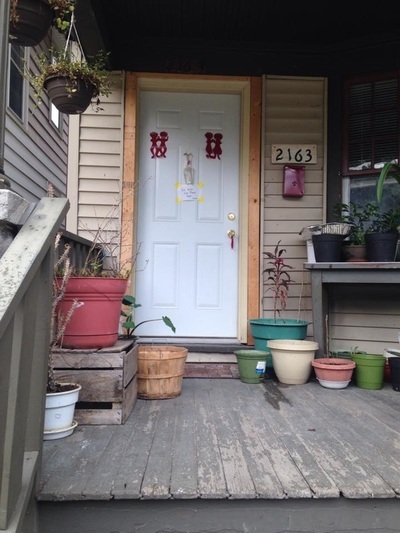 We began to question some of our taken-for-granted notions of culture and cultural difference when we explored how Hmong refugees recreate their homes in the Washington Park neighborhood. When we speak of Hmong culture, American culture, or African American culture we tend to assume ethnicity and culture as discrete, unified and homogenous concepts. We expect to find autochthonous, core, authentic values that distinguish Hmong from non-Hmong. We use terms such as assimilation or cultural borrowing to explain changes and modification to core authentic cultural practices produced due to cultural contact with other ethnic groups after a Hmong individual immigrates to the United States. Our study of Hmong households and careful analysis of their behavior and activities in domestic spaces complicated the above understanding of how Hmong refugees maintain, reproduce, and transform their culture and traditions in the New World. We found that culture is not a static and discrete concept. While there may indeed be some core values and beliefs that frame Hmong identity, those values are neither consistently experienced nor unvaryingly expressed by different Hmong individuals who we interviewed. Instead, Hmong culture, we found, was constantly being recreated, molded, reframed and represented. Culture was performed within varied contexts and depended on who we were speaking to. How we understood and interpreted Hmong culture depended on what we were witnessing, who we were talking to, the vantage point from where we were seeing it and who were present with us at that moment. Since we were studying homes and domestic spaces, Hmong culture as it unfolded in the serene corners of the living room, the quiet privacy of a bedroom, or amidst the bustling cacophony of a well-used kitchen provided a nuanced and multivalent answer to our question: What is Hmong culture? Displaced from their homeland, many of the old traditions and practices of Hmong refugees are re-established in their new abodes in Washington Park. They reproduce their home in alien buildings built by 20th Century German Americans. Duplexes, four-squares, and Victorian cottages become stage sets where daily life and practices of Hmong families unfold, where memories and practices from the past are enacted and remembered. In the remaking of their homes, Hmong residents don’t make dramatic changes to the homes in order to reproduce their cultural practices. They don’t take down walls, build new buildings, move the location of kitchens, or challenge the zoning and use permits of the City. Rather, they behave as Pratt predicts—deploying, re-appropriating and adapting via subtle, ephemeral, nuanced, ingenious and stealthy acts. 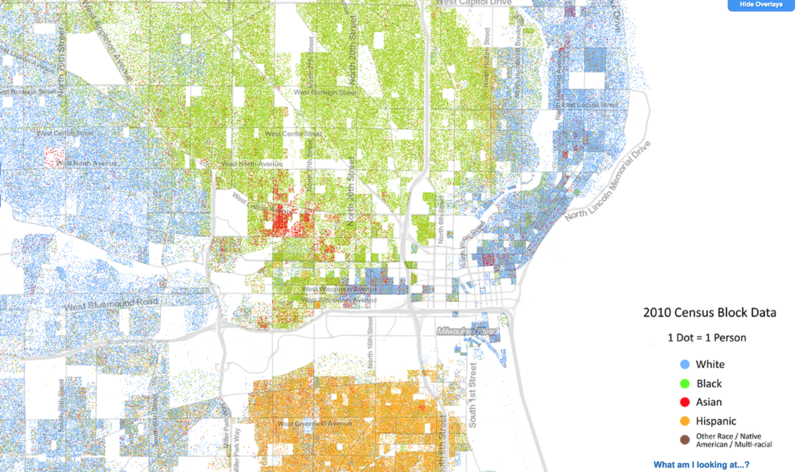 Racial dot map of Milwaukee. One dot represents one person. The red swatch in the middle shows the concentration of Asian groups in the Washington Park area. This documentary from the Immigration History Research Center, Minneapolis, tells us the story of a Hmong refugee in the US. Hmong National Development, "The State of the Hmong American Community, 2013," 2010 Census Report, (Washington DC: Hmong National Development, Inc, 2013). One such method of re-appropriating the American home is by circumventing conventional boundaries between indoors and outdoors, nature and home, or front and back. The plan and images of a Hmong home show how interior spaces are filled with indoor plants. 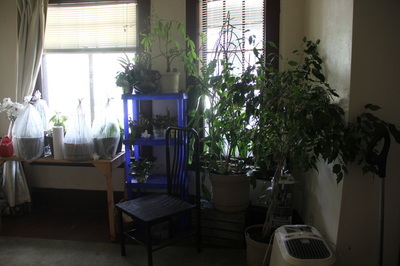 The profusion of indoor plants seem to continue the verdant outdoor garden into the living room making the boundary between inside and outside very permeable. Resident Mae explains the importance of nature in a Hmong home, “…it’s always good to have plants in the house… or something herbal that keeps the house safe…” In Laos, meadows and forests are typical landscapes around Hmong villages. Hmong resident, ZongSae explained, “Almost ninety percent of the Hmong people come from Laos, come from the jungle. Nature… brings joy for them. 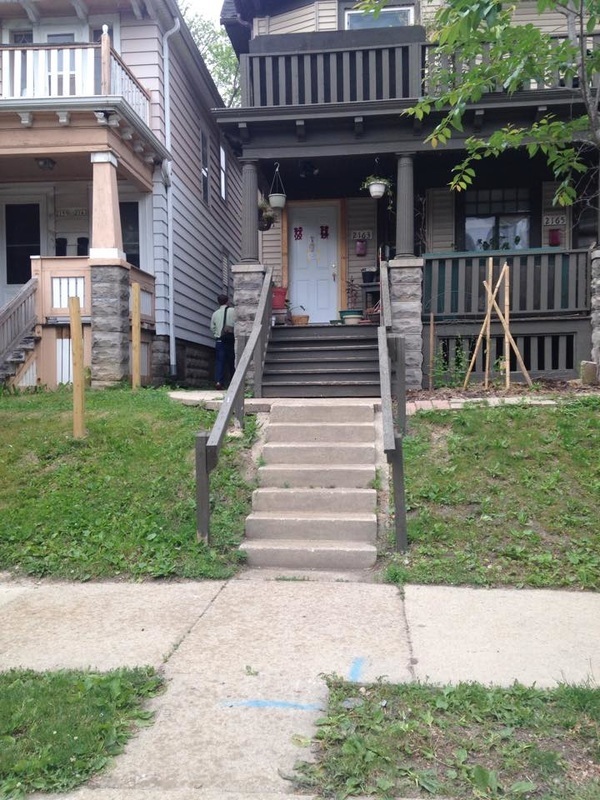 ” Now in Milwaukee, Hmong elders reconstruct that landscapes in the urban context, within their living rooms and their backyards. They use their knowledge of gardening to farm in their back yard, produce greens indoors, or take over a nearby vacant lot to grow vegetables. Another method of re-appropriation is to reuse and reclaim spaces in ways not originally intended. Living rooms becomes shrines, dining rooms becomes TV rooms, kitchens becomes storage pantries for herbs, and backyards and front yards become farms. By changing the use of interior spaces Hmong residents reorder ways in which privacy in experienced and practiced in traditional 20th C. American homes. In a home shamanistic beliefs leads to alternate use of interior space. Sounds, smells and atmospheres created by chanting, incense, plants triggers memories and feelings among residents. The main entrance is moved to the back of the house and the kitchen becomes the new entrance. The front entry is closed off, the erstwhile front door is barricaded with a makeshift shelf for shoes, and a religious shrine is placed in the living room. But lest we begin to suggest that all Hmong homes are distinctly different we encounter one where the functions and interior spaces remain unchanged from the past. 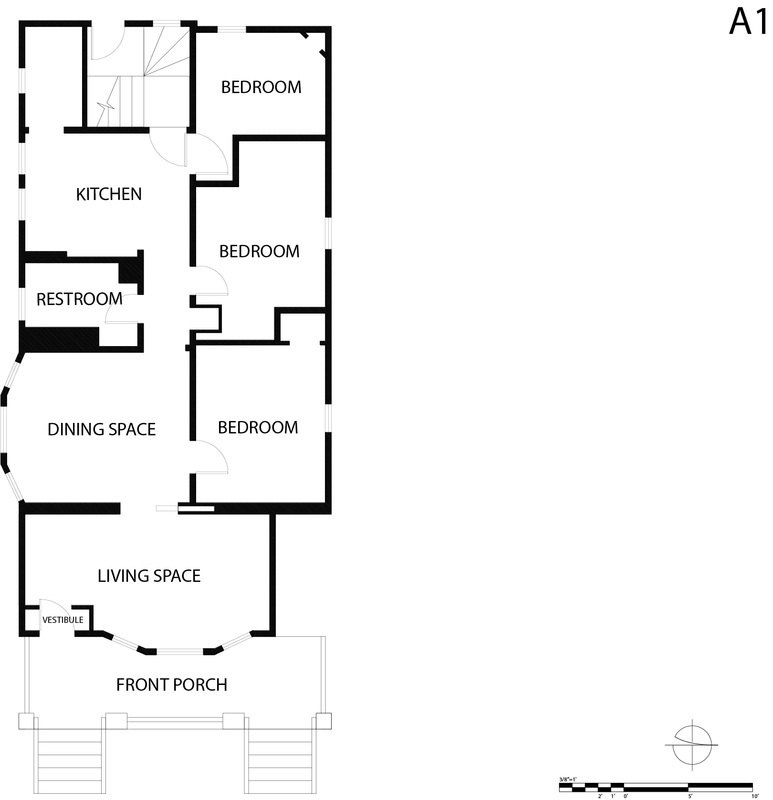 An entrance vestibule leads to the main living space of the house just live every other home in the neighborhood. The formal front rooms, located in the first floor, are designed for leisure, entertainment, and dining. The back rooms are used for family living and cooking, with a mini dining table and two refrigerators used for storage. Traces of the family being Hmong is blurred, can’t be told apart from any American home. These residential buildings produce different socio-cultural realities, express different ways Hmong culture is practiced, performed and reproduced. The built environment offers important clues into ways by which residents dwell, remember their past, recreate their traditions and remake their histories. The use and interpretation of domestic spaces depends on the lifestyles, experiences, and behavior of the families. Mary Louise Pratt, "Arts of the Contact Zone," Ways of Reading, David Bartholomae and Anthony Petroksky (Editors), (New York: Bedford/St. Martin's, 1999).